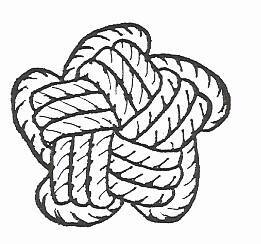 LodeStar: - (C) Guiding principle; ideal; as, "Let the pursuit of Truth be your Lodestar! " Hence, .........A Star by which to direct one's way! Lynne inspects vessels of all materials, size, and ages. Fiberglass sailboats are the boats of choice here in the Northwest, although she is looked to as well, as a specialist in wooden vessels, and sought after for her advise and services. She is appreciated for her willingness to help her clients learn and explore the vessel with her throughout the survey process. Most all her work is within the Pacific Northwest, although she has traveled willingly to survey yachts and do insurance claims throughout, Idaho, Wyoming, California, Utah, Canada and as far away as Greece on one occasion where she was retained to inspect an older wood vessel for restoration. She is an Accredited Marine Surveyor, a member of Society of Accredited Marine Surveyors (SAMS®), and a Certified Marine Investigator with– International Association of Marine Investigators (IAMI). Lynne is a graduate of Chapman School on Florida. 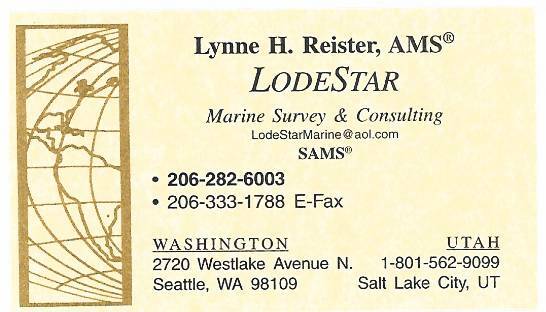 Lynne teaches Marine Survey and acts as a mentor to apprentice surveyors.